Here’s a summary of activity for two weeks ending January 13th, 2019. There’s been a lot of recent escalation of ongoing tumult in social media services. Most notably, Google+ is shutting down, earlier than previously announced, and the API that allows external processes to post is shutting down even earlier. Tumblr has crumbled under to Apple’s removal of their app, which conveniently provided cover for the new ownership to crack down on content in general. Further, Flickr has recently changed ownership, and has announced new limits on basic accounts. With this in mind, I have stepped away from all of these services as places where I actively participate on behalf of the library. I’ve also continued, over the years, to step away from being active on Facebook, which was a primary place I was active with posts about the library in early days; mostly because I have not, won’t, and never will pay to reach the audience who follow the page, even if I had the money to pay exorbitant and extortionate fees to reach those who are already fans of the page, and thus I rarely reach more than a increasingly vanishingly tiny fraction of those followers. I fear there will come a time when Facebook-owned Instagram, which I recently added to the mix, also begins implementing a similarly punishingly awful algorithm which submarines any and all posts when not being paid to promote them. But, for now, at least, Instagram has been a nice addition to the mix, and there’s been good engagement there. For the most part, Twitter has been the social media account I have steadily used, but even there, of late, I have slowly been stepping back from being engaged actively. I miss it the most, but for every pleasant engagement I’ve had there have been a tumble of far too many negative and hateful encounters. More than anywhere else, though closely followed by Facebook, Twitter has been the place that has caused me to have extremely reduced levels of willingness to engage with awful or negative people on social media and to have a presumption of suspicion about engagements until they are proven pleasant that isn’t conducive to community or overall engagement. All in all, I continue to engage through certain social media, but it is not any longer a primary focus for me, either personally or on behalf of the library. I miss the promise of it, but I don’t miss the actuality. The current state of affairs with social media all seems so disappointing to me at the moment. As a reminder, I consider all social media to be supplemental to the site itself, places where I engage in the world on behalf of the library site. 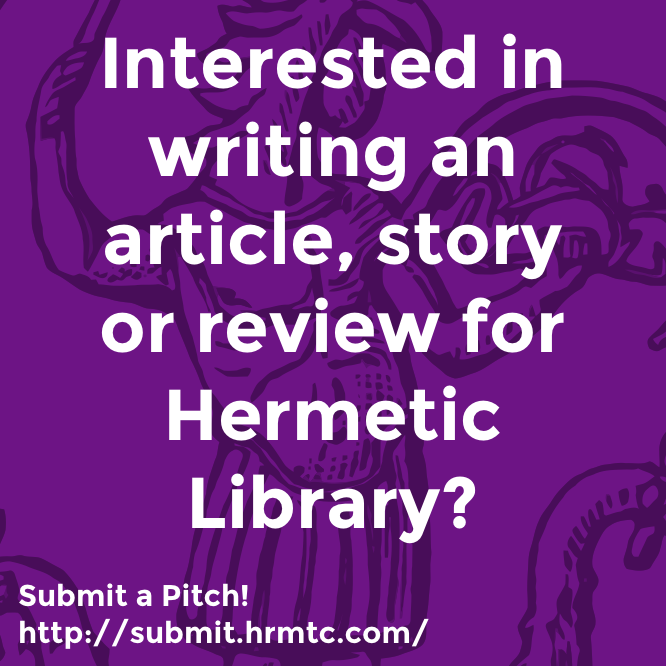 Certainly, the site itself is always at hermetic.com and I consider the site, and the library blog and BBS, the primary presence for the library online. I’m happy for any and all positive and constructive engagement with the material at the library, and plan to continue to reach out in various places with reminders about the library. I’ll always link from the main library site to any active social media accounts or projects, so be sure to check there for that if there’s ever any question about where I’m currently active. There’s recently been some encouraging increase in engagement over on the Discord-based voice and text chat service. Unfortunately, Discord is a centrally-managed service, much like the others, which is just as vulnerable to platform changes at the direction of corporate interests over those of users. But, it’s something that exists and is available. 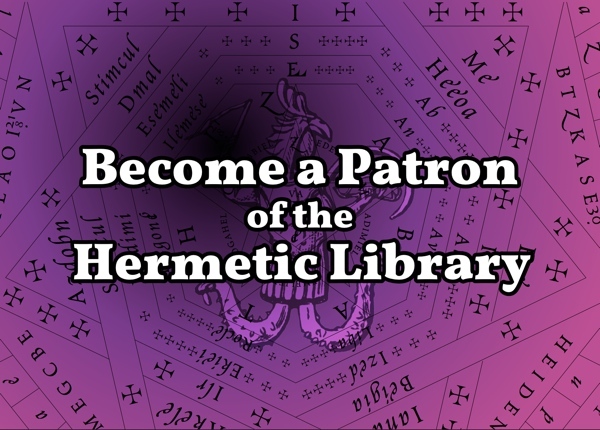 Personally, I would much prefer people to become engaged and active over on the BBS, which is built on a self-hosted installation of Discourse, and thus is an independent place for Hermetic Library related activity, just as the blog and site itself are self-hosted. There are currently not enough active users for the BBS to be a self-sustaining place for community and conversation, but it continues to provide a place for certain things I feel are important enough to keep it going; primarily it is the commenting system for posts the blog. So while not currently an active place for users, it does have an ongoing and sufficient reason to exist. 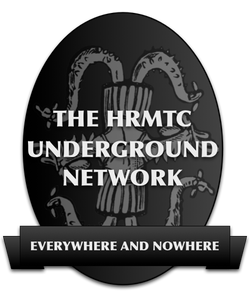 This entry was posted in The Hermetic Library and tagged hermetic library, summary, summary of the week on January 15, 2019 by John Griogair Bell.